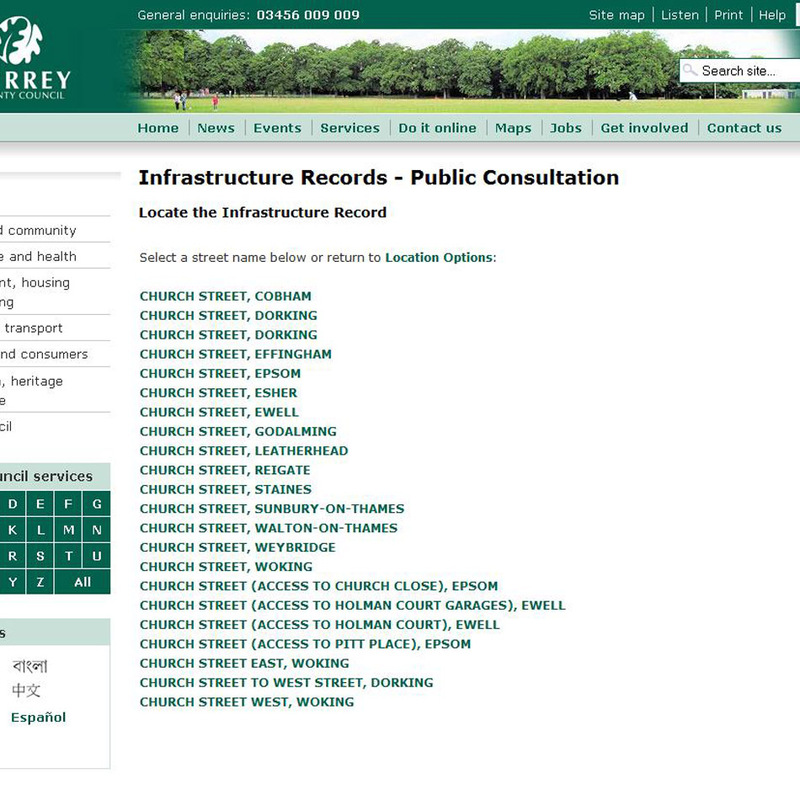 Community Infrastructure Levy (CIL), introduced by the Government in 2010, allows district and borough councils to raise funds for infrastructure to support an area’s development. 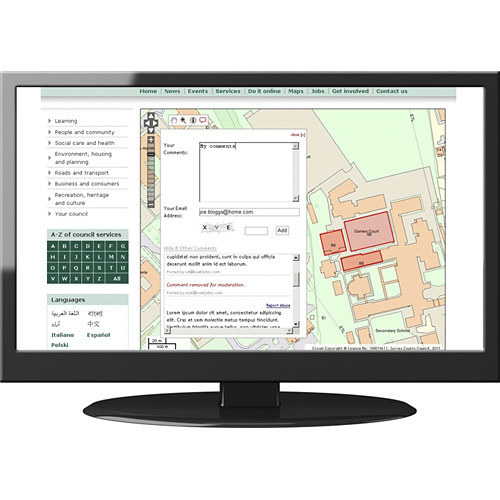 Surrey County Council had worked with their respective districts and boroughs to develop a database, MIDAS, (Monitoring Infrastructure Development Across Surrey) as a platform to assist in monitoring and planning infrastructure spending and now required an integrated web map service. Lovell Johns developed an Open Source software solution using a combination of MapServer and OpenLayers technologies. 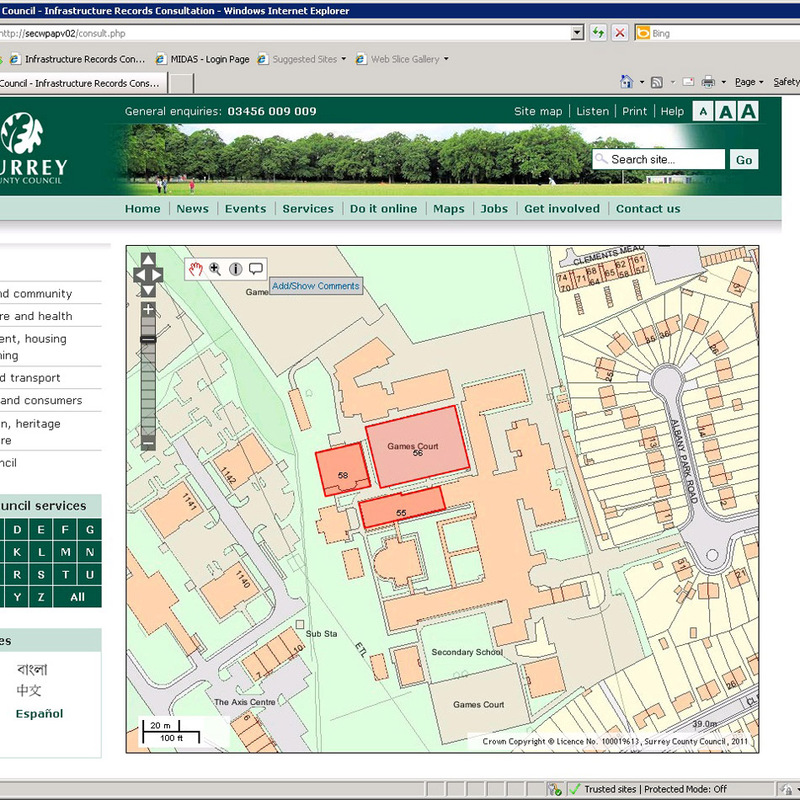 The base mapping was brought in via a Web Mapping Service (WMS) supplied by Surrey. As well as a mapping function, the solution included a public consultation module to allow members of the public to hold a public discussion about development proposals in their local area. Lovell Johns continue to support the project remotely through an annual Support Agreement.